"I hurt my back pretty bad and Dr. Jeff worked a miracle. Thank you so much..."
"Dr J is the best chiropractor I've had the good fortune to be treated by." "Dr. Klein is a lifesaver"
"I've been going for 3 months, and I feel much much better." "Dr Klein is very gentle and thorough. He rocks!" For more than twenty years, Dr. Jeffrey S. Klein has been providing chiropractic care for residents of West Chester, Pennsylvania and surrounding areas. A respected chiropractor, Dr. Klein is expertly trained and able to offer many different services and treatments at Klein Chiropractic Center. Dr. Klein earned his bachelor’s degree from the University of Buffalo in Buffalo, New York, and his doctor of chiropractic degree from Life University in Marietta, Georgia. Today, he is licensed by both the National Board of Chiropractic Examiners and the State of Pennsylvania Board of Chiropractic. Dr. Klein is also a member of the Pennsylvania Chiropractic Association. In addition to these, Dr. Klein also helps patients recover from auto accident injuries. Many of the patients that see Dr. Klein are highly pleased with his knowledge and care and many of them highly recommend him to others. Start on Your Path to Better Health Pave the way to a healthier you. Start today with Klein Chiropractic Center and request your appointment online today! Supporting Spinal Health You've only got one spine, so take great care of it with supportive chiropractic care. Learn more by contacting our office today. At Klein Chiropractic Center, we accept most major medical insurance plans. Here is a short-list of just some of the most popular plans we accept. Please contact Grace at our office if you do not see your insurance provider listed here. We also accept CareCredit financing! Whether you use your healthcare credit card to cover your deductible or to pay for treatments and procedures not covered by insurance, CareCredit helps make the health and wellness treatments and procedures you want possible today. "I love Dr Klein.. He's been a lifesaver for me. I highly recommend him. 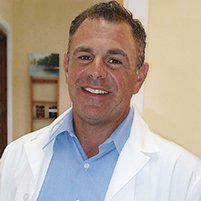 The best in West Chester"
"Dr.Klein is my guy. I have been going to him for a couple of years now and he keeps my lower back pain free. This guy is great! He is competent, really knows his stuff." "Back has been feeling great since I've started going here. Dr. Klein is a great guy"
"Dr. Klein's work helped me get past extreme pain. Plus, he recommended exercises to continue staying pain free. All worked!!" "Dr. Klein takes his time without rushing through and found his adjustments were much more thorough." "Klein Chiropractic Center is a great place to get your adjustments and massages! I would highly recommend them"
*Our testimonials are the direct experiences of our clients, Results may vary.